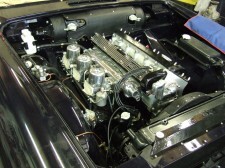 We will remove your engine and gearbox and all other engine bay parts. 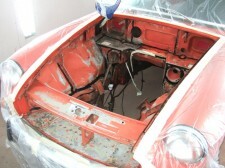 All the small parts are stripped and sandblasted before being either painted with etch, primer and 2k top coat or sent for zinc plating. 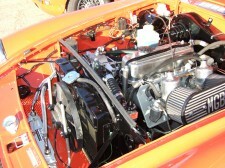 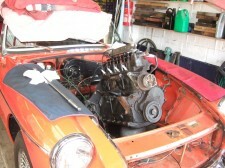 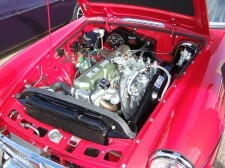 MGB engine bay prior to painting. 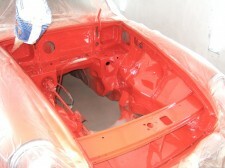 MGB Engine bay that has been etch primed, primed and top coated in 2k paints.